Defence Turkey: You’ve been in your position nearly a year as General Manager at the Mechanical and Chemical Industry Corporation (MKEK). With the new era that has begun with your assignment, which strategies will you engage and what type of a vision will be formed? Do you have a more dynamic, competitive and effective structure on your agenda that adopts a production model based on R&D and design that will elevate MKEK from its existing status? The overall vision of our sector can be identified as a focus on unique research, developing and manufacturing systems and technologies that are mindful of the protection of national interests on a global scale and those that fulfill national security requirements, creating competition and an environment of robust cooperation on a global scale, taking a leading role in the development of our country’s science and technology while achieving a national defense industry with an unequivocal contribution to social welfare. To this end, the vision of our institution is to become a notable entity that manufactures technology and novel products in the areas of weapons and munitions, to become an entity that is sought after within the global market as well. If we touch upon our 2020 strategic goals, these include the manufacturing of weapons, munitions and explosives that fall under the activity area of our institution and that are required with significance by the TAF and security forces in cooperation with the local industry, developing and diversifying our production capabilities in line with up-to-date technologies, strengthening the R&D infrastructure for the manufacturing of modern products that will prepare the TAF for future combat readiness and enable our institution to compete in international markets. Our goals also include enhancing MKEK sales through an efficient sales policy in our country as well as abroad and developing our institutional capacity. We will continue to contribute to our National Defense Industry with our leadership role by bringing forth innovative products containing outstanding technology with our R&D activities. I would like to express that the total resources allocated to R&D has reached 50 million TL and the total budget of our ongoing R&D projects has reached 350 million TL. In addition, I would like to state that we are under the process of gaining autonomy and restructuring in order to achieve a more active and dynamic role in the defense industry with our new products which we will accomplish with the help of our R&D and investment projects. We will do this by overcoming the obstacles that often face governmental institutions. Defence Turkey: It seems that MKEK is on the rise especially within international markets. You have an efficient marketing network that spans quite a wide region. Within this context, your export figures have grown 40% in 2015 compared to the previous year. How did your growth figures develop in 2016? Moreover, what type of a policy will you implement to achieve sustainable growth in the next five-year period? As MKEK, we are currently active in various regions and markets on a global scale. Our goal is to cater to the defense industry requirements of friendly and allied nations and to increase our market share by increasing our efficiency in these regions. In this context, Middle East, South East Asia, Africa as well as US civil markets stand out as our primary markets. Our exports increased by 25% in 2016 compared to the previous year. Defense industry product sales to countries in the Middle East contributed the most toward the growth in our export figures. As you know, considering the warm relationships established between the Middle East countries and Turkey, our country’s position as a leading industry among the Middle East countries, and with its strategic location in the region, we are poised to lead many more and significantly greater projects in the near future. In addition, the effective promotion and marketing activities conducted by our institution in numerous locations around the world in line with the demands and requirements of our customers constitute an essential contribution to our country in increasing our exports. In light of these developments we came in third as companies that exports Defense and Aerospace industry related products. In addition to the direct export of end products within the next five years, we envision certain developments comprising of technology transfer, training, turn-key facility establishment and the export of raw materials and semi-finished goods. Defence Turkey: Within the scope of the mass production of the MPT-76 Turkish Modern Infantry Rifle, you have received an order of 20,000 rifles as MKEK in the previous period and you have delivered a lot the Turkish Armed Forces in January 2017 as part of the mass production program. How many of the lot of MPT-76 do you aim to deliver within this year? Besides, when will the delivery of these 20,000 rifles be completed? Within the framework of the Modern Infantry Rifle Project Serial Production Period (Period – 2), the Undersecretariat for Defense Industries has placed an order total 20,000 MPT-76s to MKEK, the production of the first lot of 500 MPT-76s were delivered to the Turkish Armed Forces on 11th January 2017. The deliveries continue in accordance with the planned schedule and we currently have attained 3,000 rifles. By the end of this year, 6,500 deliveries will be completed, and the rest of the order will be delivered within the first half of 2018. 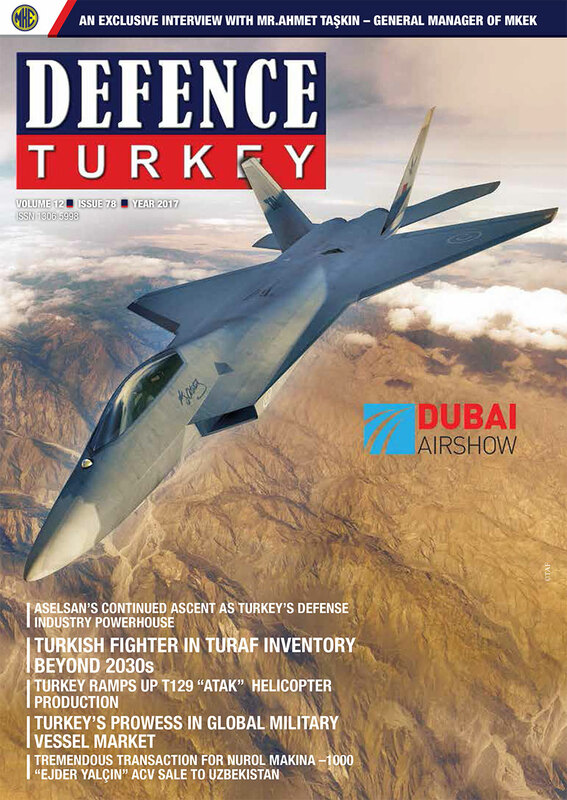 Defence Turkey: As part of the potential new contracts, which will be signed in the upcoming period in line with the TAF’s requirements, what type of a road map do you foresee for the workbench investments and toward increasing the utilization of the sub-industry’s infrastructure to increase the capacity of mass production line usage? Regarding the fulfillment of the weapons requirements of the Turkish Armed Forces and Security Forces, we will initiate the mass production of our unique products such as the MPT-76 in particular, the MPT-55, “Bora” Sniper Rifle and machine guns which were designed by MKEK. Our investments on workbenches with new technology that will speed up our production continue in order to fulfil the high demand volume that we receive. In this way, our production capacity will expand as a result of the increased technological level of our production infrastructure. Moreover, regarding our product group, we aim to increase the utilization of sub-contractors that currently remain in the level of 30% up to a rate of 70% within two years. We rely on the fact that the Weapon Specialized Organized Industrial Zone will make a serious contribution in reaching this goal. It is being established in Kırıkkale and is the founding partner of our institution. As a result of all these efforts, our light weapon production capacity will almost be tripled within two years. Defence Turkey: You have recently developed the MPT-55 version of the MPT-76 Modern Infantry Rifle and it attracted attention with the onset of its usage by security guards of the Ministers. Could you please inform us on this development? We completed the development activities of the MPT-55 and launched its mass production this year; this rifle is designed as an operation weapon with an effective range of 400 meters and either short or long gun barrels used for 5.56 x 45 mm NATO calibers. As you know, MPT-76 was developed by MKEK (main contractor) for the Undersecretariat for Defense Industries (SSM) and all rights of the rifle belong to SSM. The MPT-55 was developed with the resources of MKEK and all rights of the MPT-55 belong to our institution. Upon SSM’s assignment, the MPT-76 is being manufactured by the remaining weapon manufacturers of our countries as well whereas the MPT-55 will only be manufactured by MKEK. In order to fulfill the additional requirements of our Armed Forces and Security Forces, we determined the product range of the next two years as a result of the negotiations held with the Undersecretariat for Defense Industries. We aim to organize two out of three of our capacity for the MPT-55 production to this end. Due to the enormous requests coming from our domestic market, for the time being we will manufacture the MPT-76 and the MPT-55 rifles only for our domestic requests. Of note, our MPT-55 weapons are being used by the security guards of our Presidency and this is a source of pride for us as well. Defence Turkey: You have recently launched the shooting Shooting Range and Test Center. Which type of innovative capabilities will Turkey acquire with this test center? Could you please share your assessments? The Shooting Range and Test Center was established under the Armory Directorate of MKEK was inaugurated on 11th January 2017. Thanks to this center, we will be able to conduct the test and verification activities of our national projects that are launched with the Modern Infantry Rifle Program and bear great importance for our institution and our country through local facilities and capabilities. Moreover, we will conduct these test and verification activities within global standards at the center. This will enable the execution of the test and verification activities of both our institution and the local weapons manufacturers in a swift and reliable fashion. At this stage, though they have different usage purposes, the numerous weapons newly developed in various calibers must be tested according to the international test standards for performance measurement under the most stringent conditions in order to render them more superior over rival weapons. The product range of our institution is constantly expanding, building upon the current range consisting of machine guns, infantry rifles, shotguns, sniper rifles and grenade launchers in the product range of our institution; through the unique designed projects such as the 9x19mm machine guns, 5,56x45mm infantry rifles and their different versions (carbine and squad team type sniper rifles), 7.62x51mm infantry rifles and their various versions (carbine and squad team type sniper rifles), shotguns and machine guns, 40mm grenade launcher and 12,7x99mm Sniper rifles etc. This modern Shooting Range and Test Center with its technological infrastructure makes us very proud. It is designed so that tests of the aforementioned new products are seamlessly carried out according to the international test standards and enabling their subsequent delivery to the Turkish Armed Forces. Defence Turkey: You are conducting the production of the 120mm 55-caliber smoothbore main gun as the MKEK as part of the Altay Main Battle Tank program. How are activities proceeding towards the period of mass production? Could you briefly summarize your investments to this end and the development and production activities accomplished so far? As you know, during the development stage of the “Altay” Main Battle Tank, the Main Gun System was successfully manufactured by MKEK. SSM have indicated in the specifications that the main gun system would be manufactured by our institution during the mass production phase of the MBT program. Our institution that is currently manufacturing the 155mm 52caliber weapon system of “Fırtına” Self-Propelled Howitzers in greater sizes and operating under higher pressures, will successfully produce the main gun systems within the scope of “Altay” MBT program. Within the scope of the protocol that was signed between the Undersecretariat for Defense Industries and MKEK, various CNC workbenches and Heat Treatment Equipments were procured for the MKEK Heavy Weapon and Steel Factory at Kırıkkale and the existing infrastructure was reinforced. As part of the same protocol, the procurement activities are ongoing for the Open Die Forging Press with its high capacity to be procured for our institution by the SSM. As soon as this investment is accomplished, the procurement of the infrastructural investments stipulated by the protocol will be completed as well. At the new Steel Plant that will be launched at the end of 2017, also the raw materials of the Main Gun System will be manufactured through our own facilities. With the inauguration of the Open Die Forging Press and the new Steel Factory, all components of the main gun will be manufactured entirely through local resources. Moreover, we will submit our offers to our main contractor, the bidding companies, for the production of the components of the platform main guns, final drive systems, running gear parts and tracks of the “Altay” tank currently under tender process. Defence Turkey: Dear Mr. Taşkın, as part of the program to enhance the shooting range of the munition fired from 120mm 55 caliber artillery, what activities are being carried out at this time? On the other hand, will the Altay MBT have the capability to fire munition in various categories such as laser guided missiles? Could you please summarize the current status? Nowadays the operations occur mostly in urbanized terrains. Therefore, the product concepts developed accordingly are transformed into those optimum for the operations in urbanized terrains. The conventional munition designed to be engaged from Tank to Tank is inefficient at or behind the walls of buildings. As a result, instead of enhancing the shooting range of the munition fired from 120mm main gun, the priority was attached to the development of a munition with a reinforced nose portion that aims to destroy the hidden terrorists in the buildings, such a munition capable of penetrating the walls and to destroy, it’s an impact/delay fuse model. In respect to developing the Laser Guided Tank Gun, our concept determination activities are carried out in company with the Turkish Armed Forces as well. Moreover, most of the indigenization activities regarding the components of the 120mm armor piercing munition models in cooperation with the Undersecretariat for Defense Industries have been almost completed. In this way, our 120mm main gun integrated tanks will seize the opportunity to utilize the aforementioned munition models in that various tasks to which they are assigned. Defence Turkey: T-155 Self - Propelled “Fırtına” Howitzers within the TAF inventory are successfully conducting their missions. To this end, will there be new plans in the upcoming period for more improved and reinforced New Fırtına Howitzers with new capabilities to be used in the operational field? “Fırtına” Howitzers, developed by Military Factories and Aselsan and mass produced by MKEK, were used very effectively and successfully throughout the Euphrates Shield operation in Syria. Our activities for enhancing the capabilities of “Fırtına” Howitzers are ongoing in coordination with the General Directorate of Military Factories and Aselsan. Within this scope, various activities such as developing new munition types, increasing their ranges and adding guidance to the munition are being conducted under the auspices of MKEK. Besides, with the new technology plating methods that we will superimpose on the barrel, we aim to prolong the accuracy life as well. As you know, in order to export such a top-caliber “Fırtına” Howitzer to friendly countries, the merchandising rights belong to MKEK. The only obstacle regarding the overseas sale of the power group is subject to the export license. To overcome this obstacle, we have been conducting two different activities with the local production alternative power group adaptation and the “Yavuz” Howitzer project displayed at this year’s IDEF, in which the “Fırtına” Howitzer is integrated over a wheeled vehicle. Our “Yavuz” Howitzer attracted the interest that we expected in the international markets and we are already conducting sales negotiations with certain countries. Defence Turkey: Upon the completion of your new Steel Plant investment, Turkey will gain a crucial capability. In which areas will Turkey’s foreign dependency diminish with the activation of this investment? What would you like to say about the added value to be brought about by this investment to our country’s economy? With this facility which will be able to produce 120,000 tons of liquid steel per year, MKEK will be capable of executing the production of high quality steel that bears strategic importance for the production of the weapons and heavy weapon systems requested by the Turkish Armed Forces. The annual requests for high quality steel within our country, in the defense and aerospace industries primarily, is approximately 350 thousand tons. Since there still isn’t a sufficient amount of high quality steel to fulfil such demands in our country, a significant portion of the aforesaid amount is being imported. With the steel plant currently being established at Kırıkkale with an investment of nearly 300 million TL, one-third of the aforementioned request could be manufactured through our country’s resources. Additionally, MKEK, which is currently a monopoly in respect to the open die forging manufacturing in large scales and tonnages, will terminate the external dependency thanks to existing open die forging capabilities considering the forged steel required by the market and a considerable portion of the forged steel could be procured by MKEK. Upon the acquisition of this capability, a crucial added value will be brought to the Turkish defense industry and economy. The facility is expected to be completed and become operational in the upcoming period. Defence Turkey: You signed a Memorandum of Understanding with Rheinmetall Company at IDEF in 2015, especially for conducting joint studies in the area of R&D. How are the activities that were launched for the establishment of a joint R&D company proceeding? On the other hand, as part of your cooperation, which products are you concentrating on for development? The activities launched for the establishment of a joint venture located in Turkey based on R&D and engineering by Rheinmetall Company and MKEK reached their final stage. The complete documentation required for the establishment of the company is expected to be submitted to the relevant authorities within the first half of 2018. Following the establishment of the aforesaid company, the aim is the execution of production through MKEK’s infrastructure without any additional investments and swiftly launching 100% national products to markets at home and abroad. Defence Turkey: At the Eurosatory 2016 Fair, MKEK signed a Memorandum of Understanding for the development of new generation pyrotechnic products launched with the CS chemical used in the lachrymatory products between one of Brazil’s well-known companies Condor Tecnologías Nao-Letais (CONDOR). What is the current status of this cooperation? Our activities are proceeding in cooperation with the CONDOR Company and focus on manufacturing high quality products preferred both in domestic and international markets. As you also mentioned, an MoU was signed between MKEK and CONDOR at the Eurosatory International Defense and Security Fair held in France on 13- 17 June 2016. CONDOR Company and products containing CS chemical are preferred by numerous institutions in different markets around the world, and primarily by the National Police and Gendarmerie Forces of our country. Within this context, we are about to finish the technical assessment of the products and feasibility studies in the present stage. As MKEK, we aim to cooperate with the CONDOR Company in this area and offer high quality products to the market. Defence Turkey: We know that you have been attaching priority to crucial investments such as Air Transportable Light Towed Howitzer, New Generation Mask and Smart Munition that will attract considerable attention in our country and abroad. Within this context, could you please inform us on the recent status of the R&D projects regarding the related products? In line with the existing novelties in the world and as per the request of the Turkish Armed Forces, a need for developing a new generation gas mask against the CBRN (Chemical, Biological, Radiological and Nuclear) threats has emerged. To this end, activities for the development of the aforementioned new generation gas mask were launched in the previous period through utilizing MKEK’s own resources. A part of the regular size production molds of the gas mask has been completed and the prototype production has been accomplished as part of the project. 40 gas masks were delivered in order to be tested during the Toxic Trip-16 military drill held in Antalya and we received positive feedback regarding the product. New Generation CBRN Panoramic Gas Mask was registered with the brand MKEK “Nefes”. We launched the 105mm Air Transportable Light Towed Howitzer (BORAN) project in the recent period in order to fulfil the operational requests of the Commando units who will execute Airborne Operations. The conceptual, preliminary design and critical design stages were accomplished. Prototype production and firing tests have been accomplished and qualification activities are underway. Our existing project activities towards the development of the munition features and especially the development of smart munition continue expeditiously. One of the most crucial examples of this is our R&D Project on the Penetrating Bomb which has a high piercing efficiency in reinforced concrete targets, available for firing from all aircrafts capable of carrying General Purpose Bombs and has the potential for utilization with all guidance kits that could be installed at General Purpose Bomb. The project was accomplished successfully and the mass production phase was initiated. In the “Korkut” Self-Propelled Air Defense Gun System developed by MKEK, Aselsan and TÜBİTAK-Sage partnership, a 35mm Airburst Munition is used which basically creates a cloud of particles which have high kinetic energy and penetration capability on the path of the threat and be able to hit targets with accuracy that are very difficult to hit with conventional ammunitions. The product and production line qualification of the munition that is effective against targets such as fighter jets, helicopters, unmanned air vehicles, missiles etc. was completed and the contract negotiations towards serial production were launched. With the help of the experiences gained within the project, the new generation munition alternatives are being reviewed. Within this scope, we initially started the development activities of the 40mm Airbust Ammunition. The studies conducted on the “Insensitive Munition” that fulfils the performance and operational requirements in the best way when required, yet minimizing the potential danger and accidental firings that the weapon-logistical systems and the staff may face are being carried out in the world at a rapid pace each passing day. MKEK, as the main manufacturer of the munition requested by the Turkish Armed Forces, launched the required activities regarding the “Insensitive Munition” that nowadays started to replace the conventional munition and completed the installation of “Insensitive Explosive Manufacturing and Filling Facility” through its own resources. With such facility, the mass production capability regarding the explosives with castable plastics in three types has now been acquired. Additionally, to fulfill the requirements of the Turkish Armed Forces and covering the requirements of customers at home and abroad in line with the future projections and market analyses, we determined a road map toward forming our own insensitive munition product group. Moreover, we aim to conduct the production of energetic material of different features in the very near future. When the existing status of the market and urgent requirements are evaluated, and by envisaging that we need to immediately attain a place in the market with a new mobile weapon system, activities regarding the project on the development of a 155mm weapon system mounted over a 6x6 vehicle with high maneuver capability was inaugurated through MKEK’s own resources and in line with the requirements of the Turkish Armed Forces. 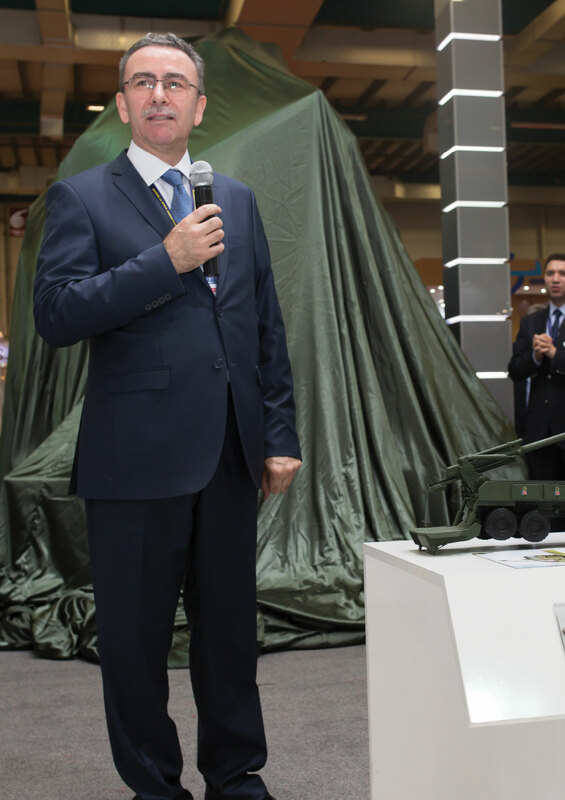 Besides, at IDEF 2017 we have unveiled the “Yavuz” Howitzer System that was entirely developed in an armored version, available for carrying 18 munitions and propulsion system, capable of deployment in maximum 3 minutes and displace after six firings, able to fire a range of 40 kilometers, capable of reaching 80km/h, increasing the operational capabilities of the Turkish Armed Forces. Defence Turkey: In which areas do you plan to invest regarding R&D to increase your capacity in the upcoming period? The security environment surrounding our country requires holding powerful and deterrent armed forces and the development of a national defense industry capable of supporting such deterrent policies in all areas. Fulfilling the defense industry requirements through a maximum level of national industry stands out as an essential goal. Within this context, regarding the new generation energetic material that started to replace the conventional explosives and munition systems nowadays, we have to keep up with the developments in the world. As MKEK, we took crucial steps towards entering the league of a few countries with “Modern Explosives and Munition” production capability with our recent investments. The qualification processes of such explosives and munition were successfully completed as a result of the accomplished R&D studies and they were approved for mass production. Then again, I would like to underline that we will continuously conduct the production of new generation energetic material and the activities for gaining products with high technology for our country. Defence Turkey: Could you please inform us on the current status of your other activities and programs conducted in our country and abroad? We conduct our domestic activities in coordination with the related units for fulfilling the weapon and munition requirements of mostly the TAF, Ministry of Interior and other security forces in a timely and effective fashion. With the launch of the procurement contracts that span years related with the projects with completed R&D studies and of which the mass production process started, the rate of capacity usage will increase as well. Speaking of the remaining export and business development activities conducted by our institution; in order to benefit from the vast experience of our institution in the defense industry area, we determined a goal for making a move in the marketing of these experiences in the establishment of production facilities specialized in heavy weapons, rockets, light weapon munition and heavy weapon munition, know-how, technology transfer and training and consultancy areas. In addition to our longstanding relationships in our target markets in the world, our commercial relations increasingly continue. The products of our institution are being promoted aggressively in the new target markets. Our institution plays an influential role in recent years, particularly in countries such as Saudi Arabia, United Arab Emirates and Qatar in the Middle East region. Our cooperation projects in turn-key facility establishment, technical assistance and training along with the finished products continue. Philippines being in the first place, Vietnam, Malaysia, Indonesia and Thailand are our target markets in the Pacific region and we attach great importance to the promotion and marketing activities in this region. We are conducting our activities without interruption in the US market where a severe competitive environment is dominant. In addition to the cartridges manufactured by MKEK, we conduct the sales of 10 different shotguns designed and manufactured by MKEK in line with the requirements and demands of the US civil market. We are providing consultancy services in the production of light weapons and spare parts, light weapon munition and light weapon munition production areas in Africa which is another target market of our institution. Moreover, we accomplish the sales of our products such as gunpowder and cartridges to many African countries. Defence Turkey: Lastly, would you like to share any messages with our readers? As in the past, MKEK will steadfastly continue to manufacture the products required for defending our country for maintaining the continuity of our nation by following the technological developments in the world in the future. Bearing strategic importance, MKEK will have to go through a transformation and a restructuring process in accordance with the changing world and economic conditions for the full accomplishment of the aforementioned tasks. In order to overcome all types of issues regarding the legal regulations, inefficiency and human resources caused by our status as a governmental institution, we have to manage this change well and make good use of our resources.